Do I qualify for a shelter rebate? If you own or are buying your home, you don’t live in a flood plain and your property is not a historical site, then you can qualify for a rebate on that property. Check with your local planning commission to see if they have a rebate available for your county. Get a rebate application from the planning commission. Fill out a rebate application and mail it in to your local planning commission. The planning commission will process your information then send you a letter that says “Congratulations you have received a rebate”. What do I do when I get the rebate? 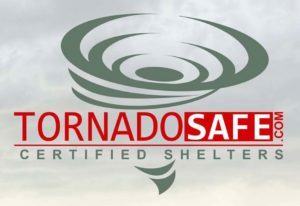 After you have received a rebate letter from your commission call Texas Storm Shelter Guy to install your shelter. After the shelter is installed, make sure that the shelter company helps you turn in all the required paperwork for the rebate. Some rebate programs will allow you to pay your half of the shelter and sign the rebate over to that company. Ask your shelter company if this is an option. All our members will know what paperwork to file for your rebate.